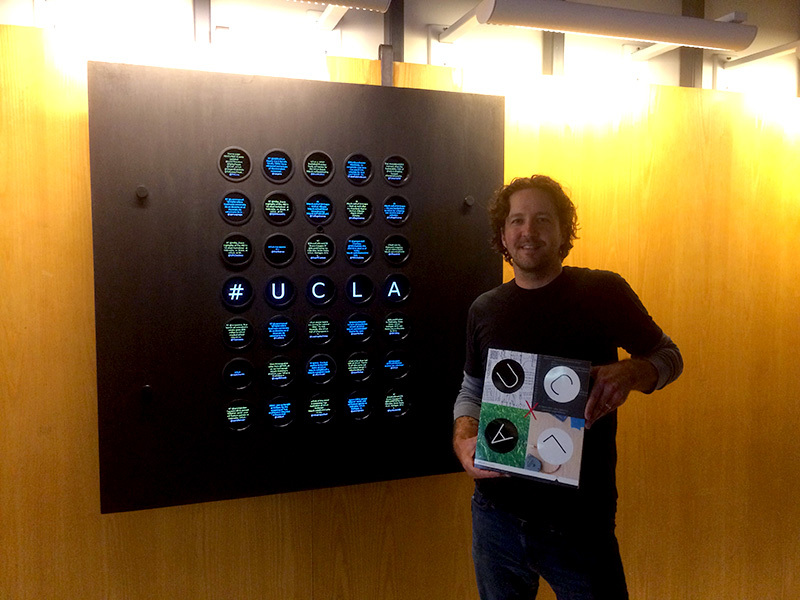 The 2015 Winter catalog cover was designed by Michael Newman as part of the ongoing Master Graphic Designer Series. 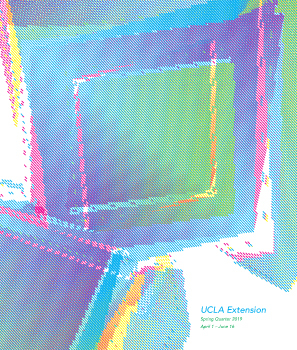 In addition to the catalog cover, he designed an interactive installation, titled Thirty-five Pixels, which will be on display at the UCLA Extension 1010 Westwood building through the 2015 Winter Quarter. The piece incorporates motion detection, image capture, and real-time socket communication, so participants anywhere in the world can interact with, control and even be part of the experience. You can interact with the piece by going to uclax.pomp.com on your computer or smart phone and you can watch the live camera video feed here. Recently, Raspberry Pi wrote an article about the piece. You can read it here. 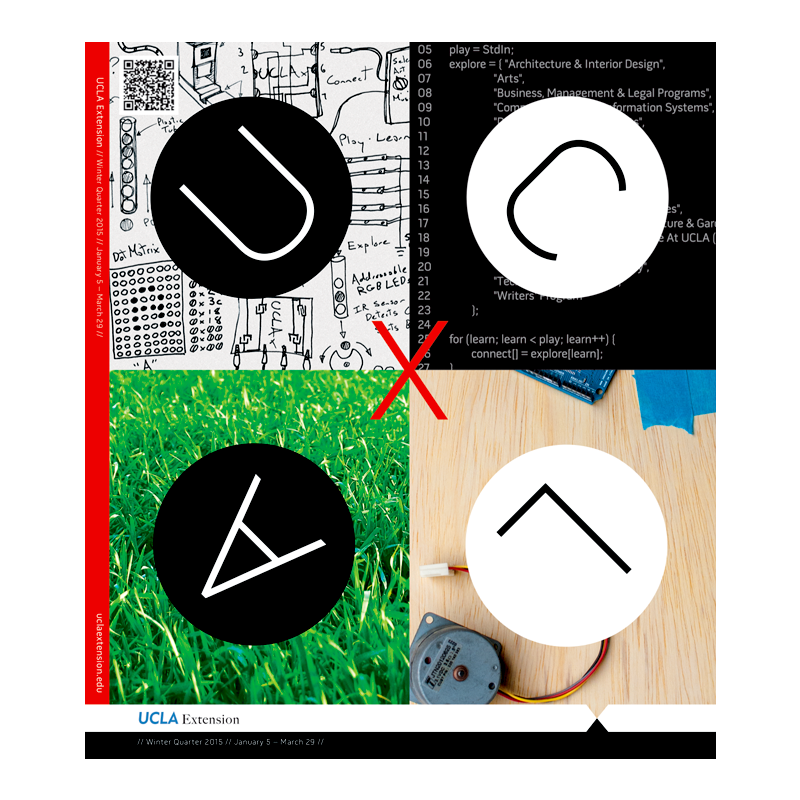 For more technical information, please visit http://pomp.com/2014/11/uclax-master-designer-cover-series/.